I’ve bundled the Bloodsand Arena module Wizards was giving out this year for Free RPG Day, along with some other goodies for all of you. If you’re like me and are foaming at the mouth for more 4e Dark Sun material – August can’t come any faster for a lot of us. The Bloodsand Arena was created by @blindgeekuk as a great looking PDF complete with highlight-able text (not just raw images) so a huge hats off to him for creating this for all of us. 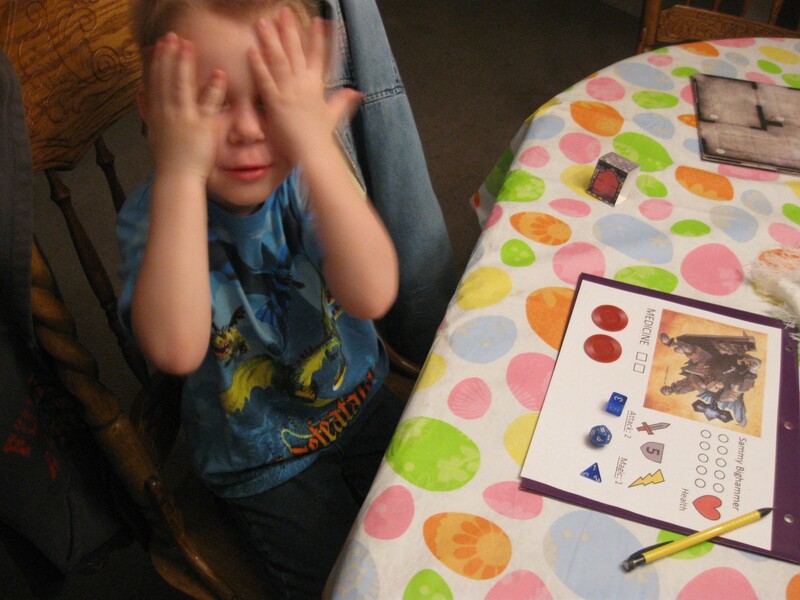 Ive “played D&D” with my son on many occasions – we sit down with minis, dice and some dungeon tiles. He rolls his very own set of dice with no purpose other than the noise they make and then I tell him awesome things happen. He uses his imagination, and the bad guys lose so everyone wins. However this weeks many twitter posts regarding the Heroes of Hesiod kids module got me motivated.